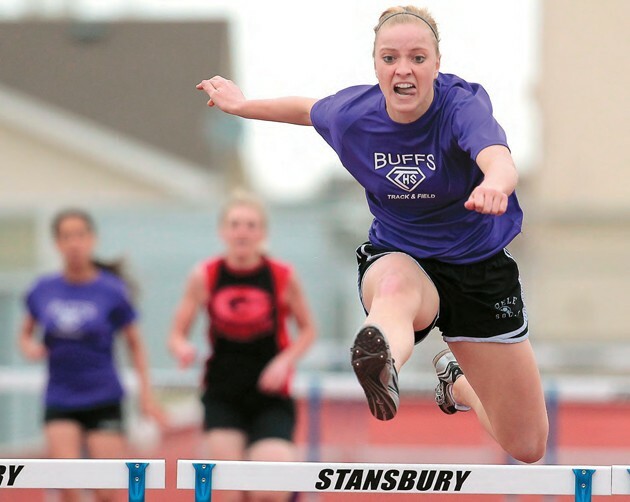 Tooele’s Alyssa Banks jumps the last hurdle during the 300 hurdles event Wednesday at Stansbury High School. Banks won both the 300 and 100 hurdles at the meet. 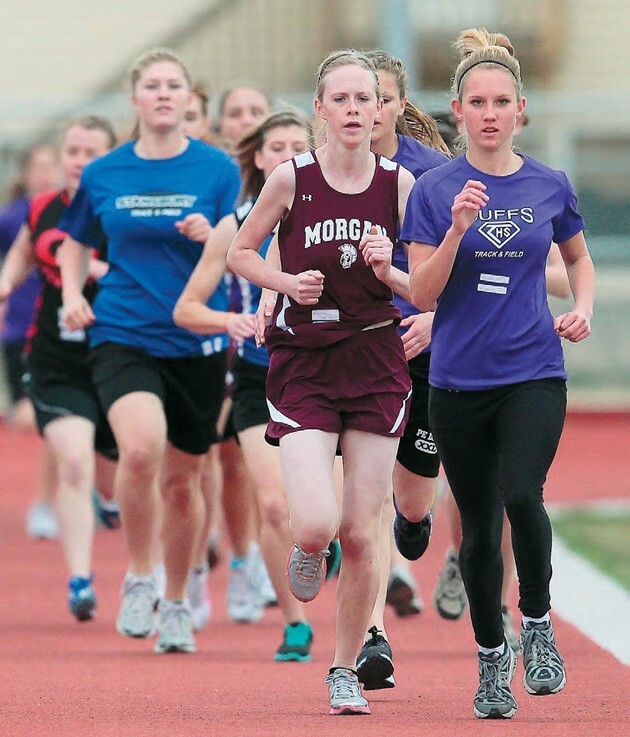 Tooele’s Brindisy Russell runs the 1600 Wednesday at Stansbury High School. The THS sophomore finished second in a field of 17 runners. 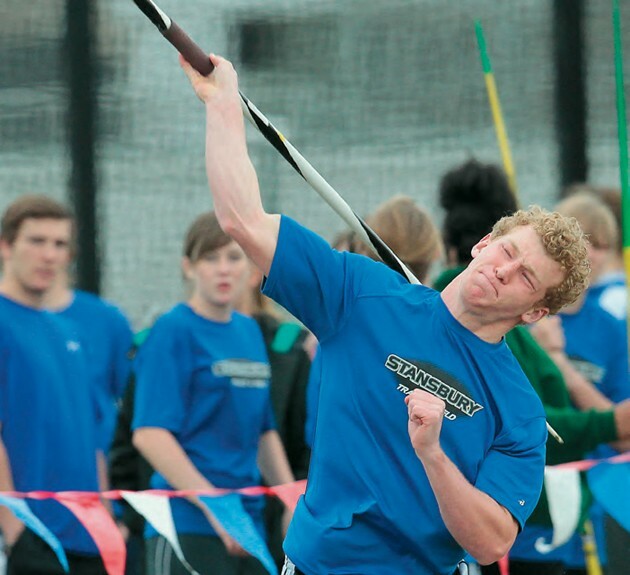 Stansbury’s Hunter Anderson throws the javelin Wednesday afternoon at a home meet. Anderson finished second in the javelin and first in the shot put. 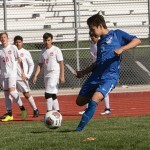 Stansbury’s combination of lightning quick sprinters and strong throwers helped the men’s track team pile up 230.5 points to win a quad meet against Region 11 foes Tooele, Grantsville and Morgan Wednesday at Stansbury High School. Ky Bender, Dallin Didericksen and Hudson Conrad finished first through third respectively in the 100 meters. Meanwhile, Hunter Anderson, Allan Havili, Atu Havili and Jeremy Cafe finished first through fourth respectively in the shot put. Stansbury’s 4×100 relay team kept their winning streak alive by winning Wednesday with a time of 44.81. The team of Bender, Conrad, Tyler Jenkins and Justin Jenkins hit the state qualifying mark with a time of 44.41 at the Box Elder Relays on Saturday. Tooele’s men’s team finished second with 124.5 points with Grantsville third at 108.5 and Morgan fourth at 88. The Trojans came out on top in women’s competition with 194.5 points followed by Stansbury 184, Tooele 115.5 and Grantsville 74. 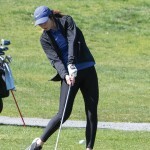 Athletes from Wendover and Dugway also participated in the meet. Tooele’s Alyssa Banks showed off her skills by winning both the 100 hurdles and the 300 hurdles. Discus — 1. Alan Havili (102 feet, 0 inches), SHS 2. Atu Havili, SHS 3. Reilley, GHS 4. Mott, THS 5. 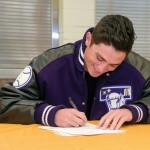 Tyler Kelsey, SHS 7. Logan Shields 8. Gary Banford, SHS 9. Torrin Hodges, SHS 10.